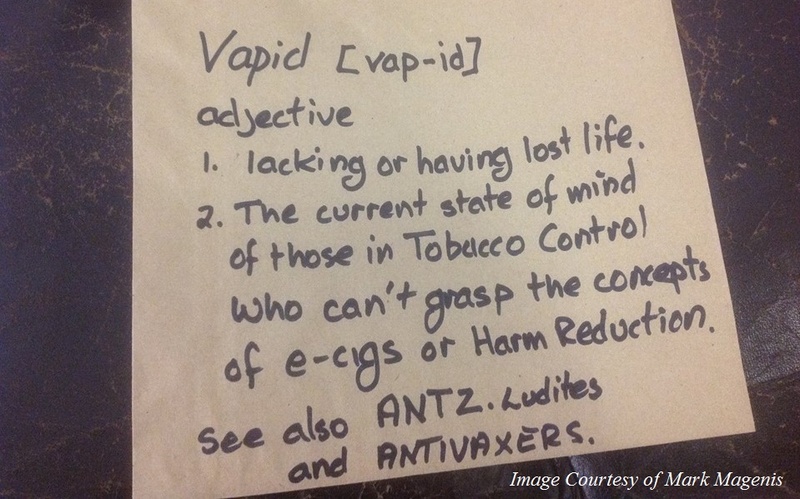 In this guest blog, Louise describes her experience debating e-cigarettes and tobacco harm reduction with a consultant in respiratory medicine apparently prepared to say anything to rubbish e-cigarettes…. E-cigarettes have overtaken nicotine patches and gum as the most popular method to quit smoking, according to a study from University College London (UCL). UCL academics found one million people in England used e-cigarettes to kick tobacco in 2015. The total number of smokers in England who tried to quit was 2.6 million — meaning 40 percent of all those who tried to give up smoking turned to vaping. It is still illegal to sell e-cigarettes in Western Australia after a conviction in a landmark case on the matter was upheld in WA’s Supreme Court on Thursday morning. Judge Michael Buss heard the appeal brought forward by Vincent van Heerden, who was was first acquitted of selling e-cigarettes, then convicted after an appeal by the Health Department but this latest appeal has now failed…. Last week’s Society for Research on Nicotine and Tobacco Conference included numerous tobacco and nicotine-related presentations, most notably select data from the first wave of the U.S. Food and Drug Administration (FDA) and National Institute of Health’s Population Assessment of Tobacco and Health (PATH) study…. It is the age of the vape. On our streets and in (some) of our buildings, bros and girls of all ages are pulling on propylene-glycol-powered tubes, and in Washington, clouds of vapor are replacing the proverbial smoke-filled room. Last month, U.S. Rep. Duncan Hunter (R-San Diego), a 39-year-old ex-military man, vaped on the floor of the House during a debate over banning e-cigarettes on planes…. On the eve of a possible final vote to regulate electronic cigarettes, leaders of the vaping industry met privately Wednesday with an aide to Gov. Jerry Brown to lobby for a veto if the measure reaches his desk. The Senate may vote Thursday on a bill that prohibits use of electronic cigarettes in restaurants, theaters and other public places where smoking is banned.